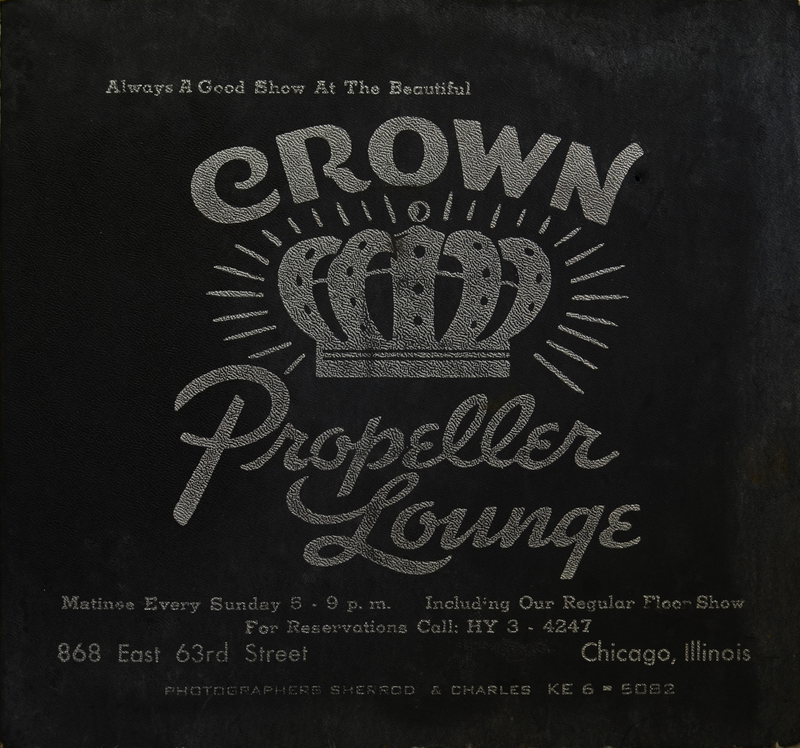 Welcome to the Crown Propeller Lounge again! 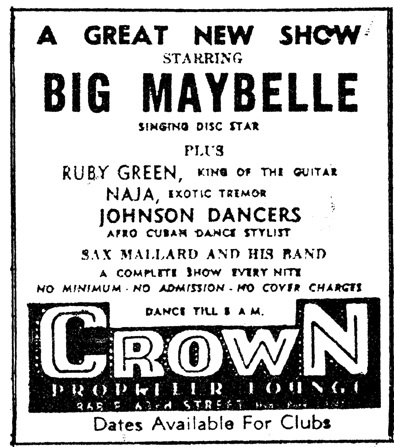 The Crown Propeller Lounge – after which this blog is named – was one of Chicago’s most important venues for R’n’B and Jazz during the 1950s. You can read more about it on my old blog entry here. 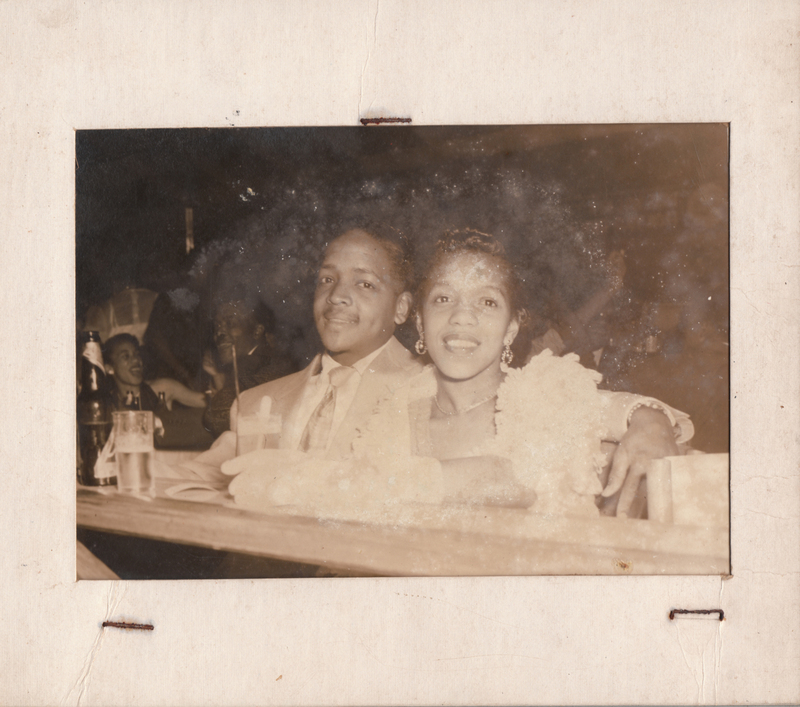 After reading that post, Mike Medina (aka WayoutWardell) contacted me and identified more of the people pictured in this gorgeous photo, donated to the Crown Propeller blog by the Schlossberg family (also check the comments section over there for more interesting information from Mike). 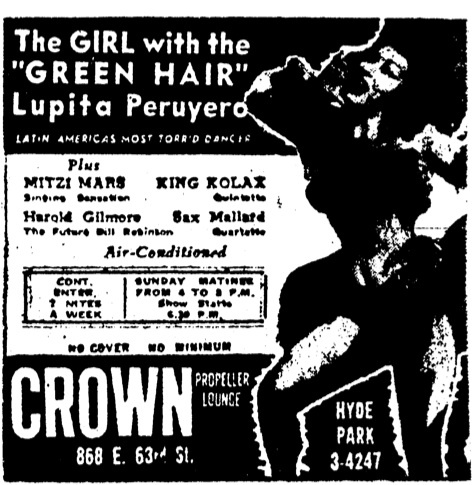 I had recognized trumpeter King Kolax and boxer Joe Louis with Crown Propeller owner Norman Schlossberg and Mike added the name of dancer Lupita Peruyero (far left) who was a regular at the Crown Propeller and knew that the lady on the far right is singer Mitzi Mars – of which I had presented some music in my old blog entry about the CP. 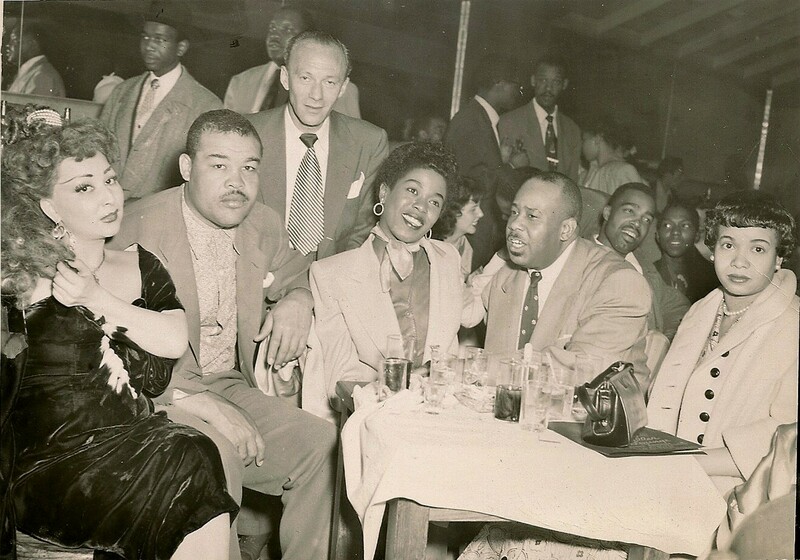 Mike also kindly allowed me to use the photo of this bautiful foursome at the Crown Propeller in 1945 – a time when the main audience of the CP was still white. Enjoying an evening at the Crown Propeller Lounge, 1945. From the collection of Mike Medina. If you are interested in photographs from Chicago’s South Side, you definitely should check Mike’s Flickr page. It was also Mike who alerted me, that the sign of the Crown Propeller lighting up can be seen in the opening sequence of the old “Crime Stories” TV series. I managed to find that one on youtube. I edited the CP part and let it run backwards and forwards – the way it possibly was. I guess there was something in the middle as well (a crown, maybe?) – I leave it to your imagination. 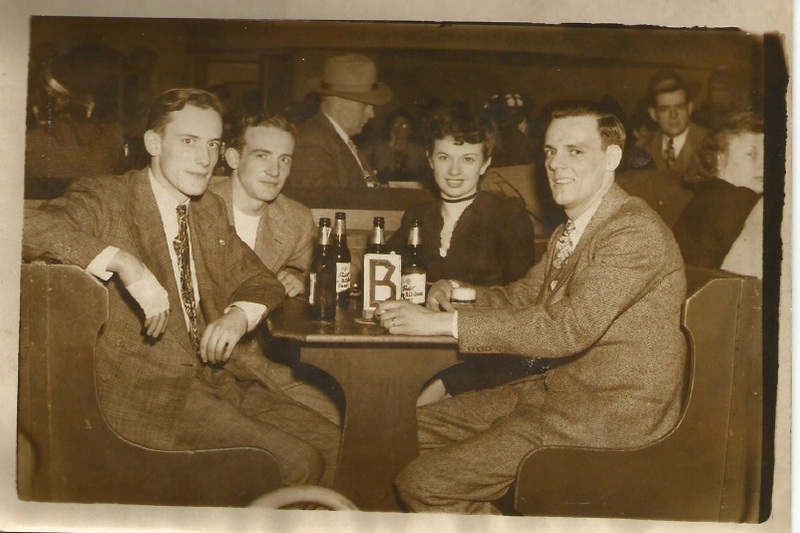 Ending up our second visit to the famed Crown Propeller Lounge is photo of a young couple at the bar, probably in the 1950s. This was stuck in the souvenir envelope pictured at the very top of the envelope. Who might they have listened to on that evening? 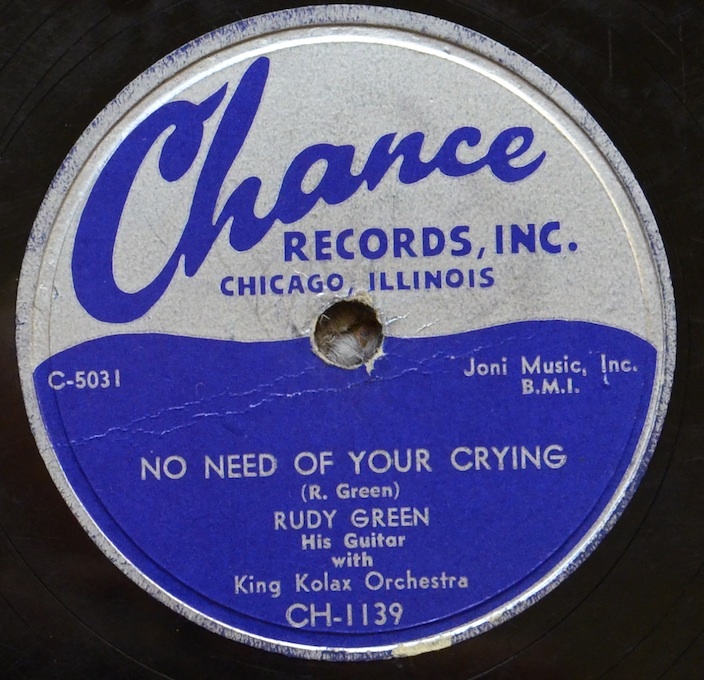 Rudy Greene maybe, the “King Of The Guitar”?